Home Wealthy AffiliateHow To Create a Free Business Website in WordPress? 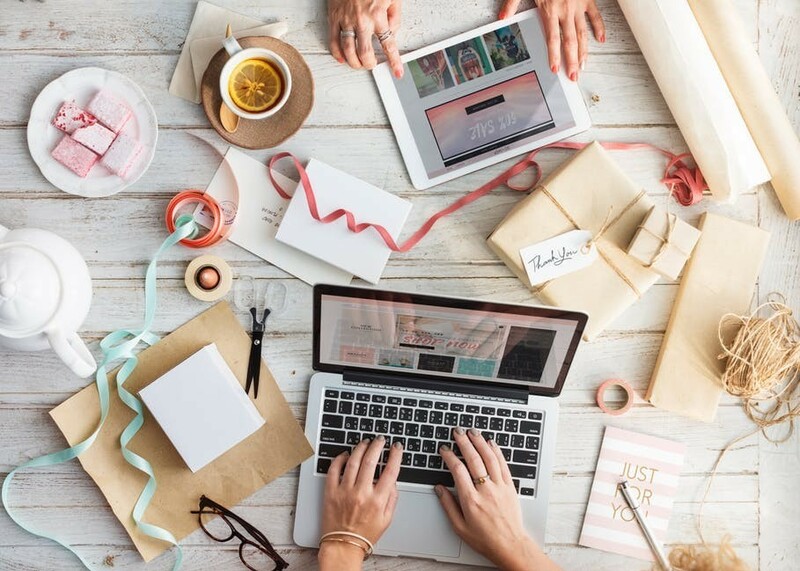 Creating a site for your business – for any business – is essential if you want to reach people and you also want them to trust in your services or products. Many companies only have a Facebook account and most lose a lot of customers as a safe a trustable background cannot be seen behind – even if the company has some traffic. Building a site has not been easier though. I will show you step by step how to create a free business website in WordPress to build trust and get much more traffic and as a result sales for your business. If you already have a domain (possibly with good hosting) then you can jump to step 2. If you do NOT have a domain or good hosting, then I strongly recommend you to make your first site below. A good hosting helps you with Google ranking, has 24/7 support, never lets your site to be down. You can all do these features by yourself with self-hosting, but then you lose a lot of valuable time that you could spend on creating your content. So, choose a name for your site, it shows immediately if the name is available (later – at any time – you can buy your own domain here as well), but to start the process a free version of WordPress through this platform is completely enough. Once you have found a name that is available and you like, click on “Build it now”. 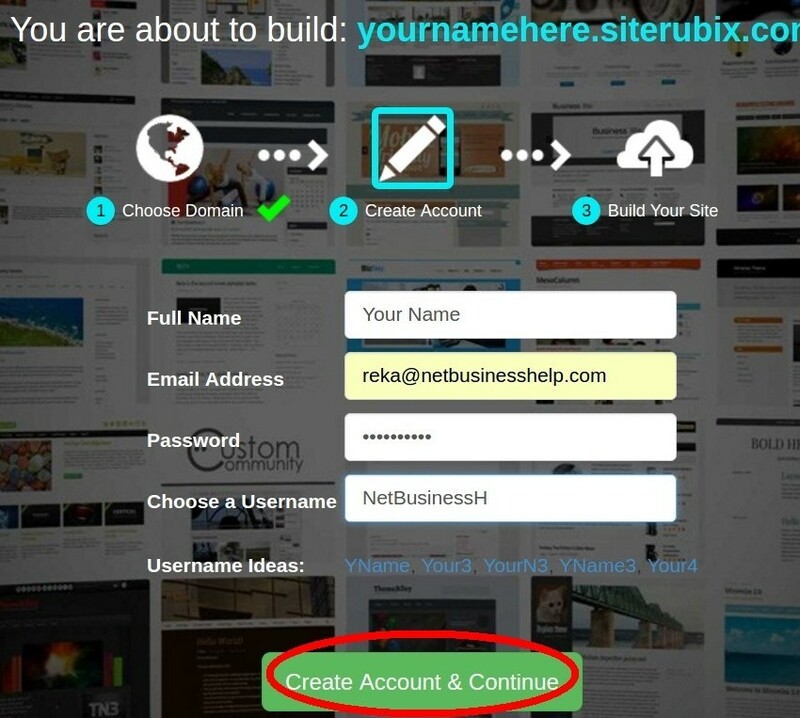 Clicking on the button showed above directs you to the SiteRubix page. 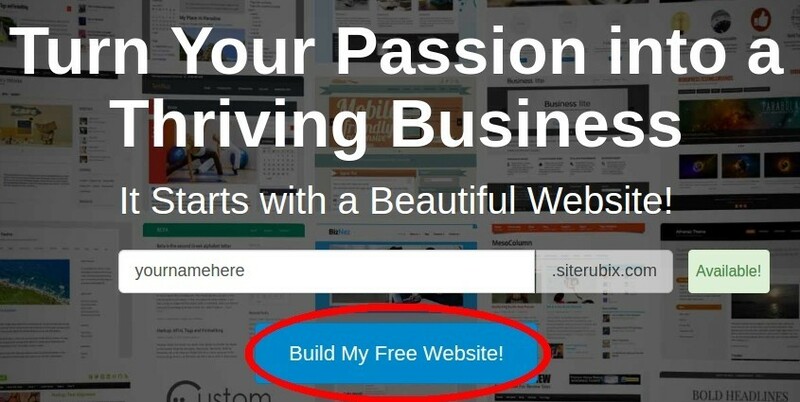 Click again on the Build My Free Site button. Create an account so that you can reach easily your site management later. Type in your name and your e-mail address. choose a password and a user name. Then click on ‘Create account and Continue’ again. Once your account is ready, you get an e-mail where Kyle and Carson, the founders of this training and website platform explain everything you need to know in details. You get access to all the training, WordPress sites, hosting, community and support instantly. Since this is a community, that you can ask for help about your work and webpage and can give help as well you are strongly advised to upload a profile picture and a little introduction – it makes your work and way to success much easier if people see that you really exist and part of the team. At the same place, you are asked to share your goals. Don’t be shy, write your dreams. Get to know the site a little bit before starting your training. All you have to do is to follow the step by step introduction with every important thing you will need to start your online career. 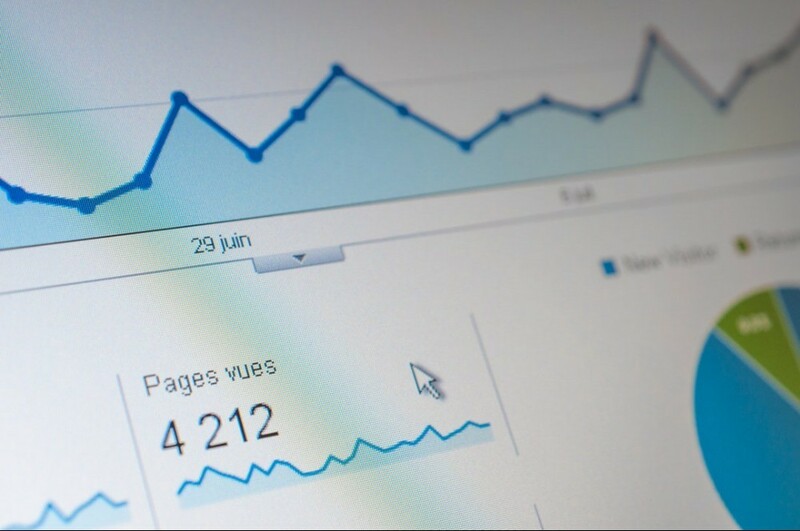 Within the training, you will be shown how to write articles to get indexed in Google and have a good ranking. Every tool that is available in the site will be explained in details. You get templates that you can use for your easier, safer and quicker progress. Just follow the steps, and you can have a free website within a minute and can start working on it with the training. No misunderstanding, or “don’t know what to do next” feeling as you have support every step of the way. Creating an website is a crucial and significant part in developing a fully functional online business, however many of new comers may find it to scary or terrifying when they hear words ”creating a website”. I know I was a bit overwhelmed about this whole process when I have started my journey as an affilaite marketing. 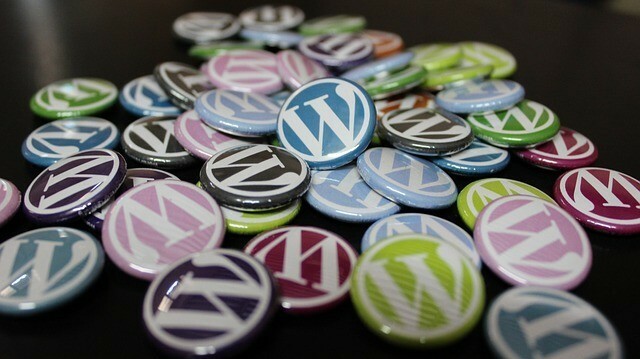 Thankfuly, there is a lot of amazing and very helpful tutorials on how to use WordPress to create websites and much more from Wealthy Affiliate which will help a person in achieving his desired goals and achievements a lot while guiding and supporting him throughout whis whole journey! Thank You for this informative article and keep up the good work! Thank you very much for adding your thoughts here! I have the same experience that many people just don’t start creating their sites because they think it is difficult. Well, they are partly right – unless they follow a step by step guide with every instruction they will need such as we have at WA. Thank you for your article and the free training is a great way to learn all the ins-and-outs of WordPress, it made it so easy. I found the step by step videos were extremely helpful to get everything set-up and running. So far the hosting is free as well as the SiteRubix domain. When I have built everything to my liking and added all the pages, I’ll transfer to my own domain name. Thanks again for your guidance. I like how simply you explain each step that even people that are not very tech savvy can clearly understand what you have to do. Even if you don’t use all of Wealthy Affiliate’s tools and see it just as a hosting service it is amazing how easy to access everything needed is. But in my opinion WA is much much more than simply a hosting service and should be judged as a whole and not only of what it can offer for hosting. You get so much from this website that it’s difficult to show everything in a single article. Thank you for the share. Aha. A chance to try out my website ideas at last. 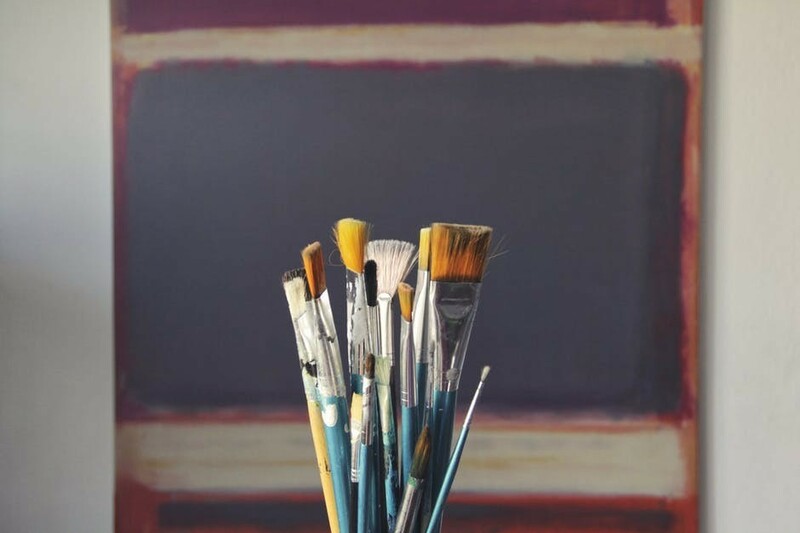 When I put a name in for the website, do I have to pay for the name / website? I looked at a couple of other domain sales websites and I would have to pay and then pay again for hosting. Will I have to pay here? It looks very exciting, to be able to try out an idea for nothing. I want to create a business but I do not have much capital. That is why I keep asking about the price. I have been on other sites where they just keep asking for more money and I do not want that again. This looks really exciting if it is free and I can try out my ideas. Thanks for the article. Your questions are very good, I am very happy you asked them. If you want to have a free site, then you do not have to pay anything for it, both the name and hosting are completely free of charge as long as you wish. If you want you can have it forever for free. If you want to buy a domain of your very own, then you will have to pay for it. You can only do it when you become a premium member (and have access to everything on the site). Once you pay your monthly fee, you can purchase for your own domain, which costs about $14-$16. This fee contains everything from domain registration and hosting, support. I also started it because it was completely free, so I think it is very nice to be able try it out without having to pay for anything. Many businesses are indeed missing out by not having a website. I mean, social media is good and all, but you need to have your own place which potential customers can visit. Your steps are very easy to follow, which is great for beginners. They’ll be up and running with a site in no time! Thank you for your nice words! I agree very much, businesses should have a website, social media can be good as part of it, but never instead of a website. Having a website does not cost much at all, can be done easily and your business will look much more professional.